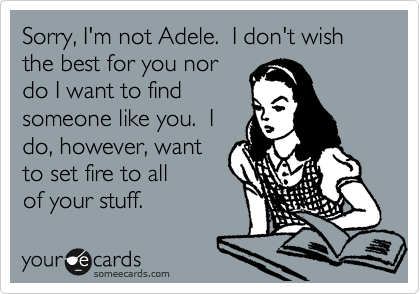 We all can’t be Adele! This entry was posted in Pop Music Funnies and tagged adele, break up, funny, humor, some eecards. Bookmark the permalink.